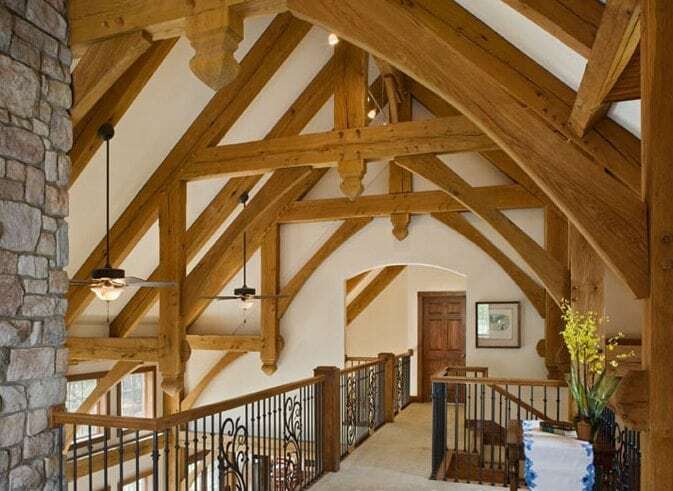 When it comes to traditional timber frame design, a common element seen in most floor plans is the emphasis on high-reaching ceilings adorned in truss systems. 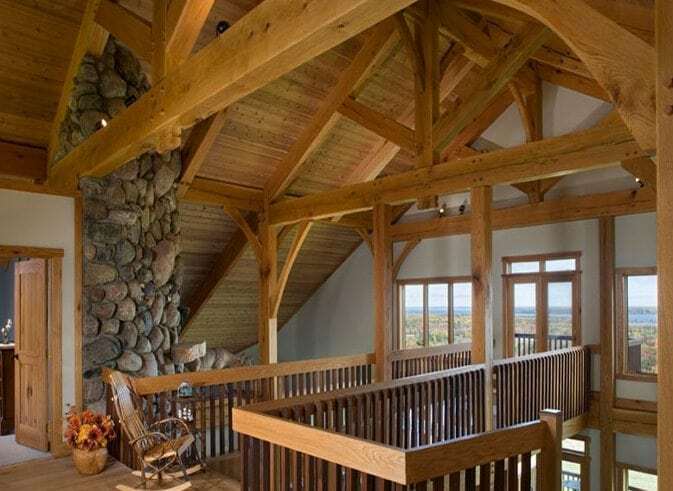 Lofts are a time-honored design aspect of a timber framed home that can be added to these open spaces without hindering their purpose. Whether your loft is included for more space, to highlight your timbers, or to contribute to the open layout, here are a few different styles of lofts to spark your interest and spur your own floor plan concept. 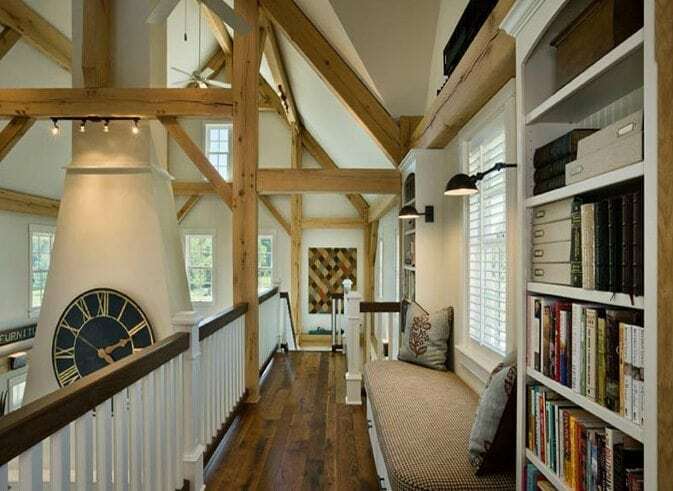 A loft can be built as a simple walkway to other rooms within the home, as seen in this photo. This home’s walkway or catwalk takes you from the staircase to an upstairs living space under the artisan design of overhead timbers. This loft space design flows into the great room area’s ceiling space, allowing a different perspective of the main floor’s magnificent view. Perhaps you want to retain the open feeling of your layout while still including second-level spaces for privacy, in this photo; a catwalk equipped with a space-saving reading area does just that. 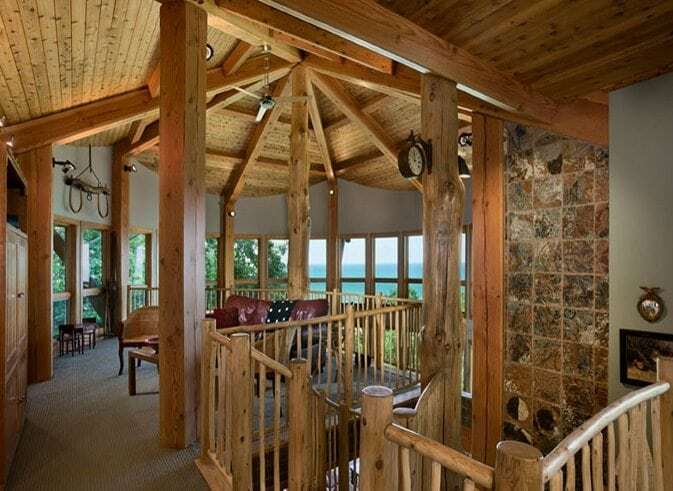 You don’t have to limit your loft’s functions to the home interior; having a loft design like this one flowing into an outdoor balcony will provide a desirable connection to the outdoors. For more photos of unique and customized loft spaces, view our Photo Gallery.